Last week, we covered Czar Peter III of Russia, a creepy man-child who liked to play with toy soldiers and who had very little interest in his wife. This week, we have another crazy monarch for you all the way from the Empire of Rome. His name was Emperor Elagabalus. This emperor’s full name was Elagabalus Marcus Aurelius Antoninus Augustus, which is quite a mouthful! He was of Syrian descent, a member of the Severan dynasty of Rome, second son of Julia Soaemias and Sextus Varius Marcellus. He was a Roman ruler best known for his extreme eccentricity, zealotry, and decadence. 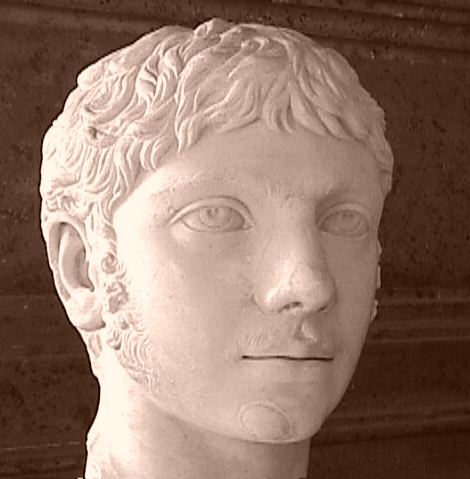 Emperor Elagabalus lived to be only eighteen years old. Elagabalus was born around the year 203 AD. Nobody knows for certain what day, or what month he was born in, but we do know his father was originally a member of the Equites class in Rome, a special legion of cavalry recruited specifically from patricians, much like the status of a medieval knight. Elagabalus’ father was eventually elevated to rank of senator, and his grandmother, Julia Maesa, was the sister-in-law of emperor Septimius Severus. His mother was Emperor Caracalla’s cousin. Elagabalus was named high priest, by hereditary right, to the sun god Elagabal, a god from Roman Syria. It was a widespread cult in the Roman Empire in the 2nd century, and the religion was eventually assimilated into the Roman sun god, Helios, hence once of Helios’ epithets being “Heliogabalus”, a variant of “Elagabalus”, for which our nutcase was named. 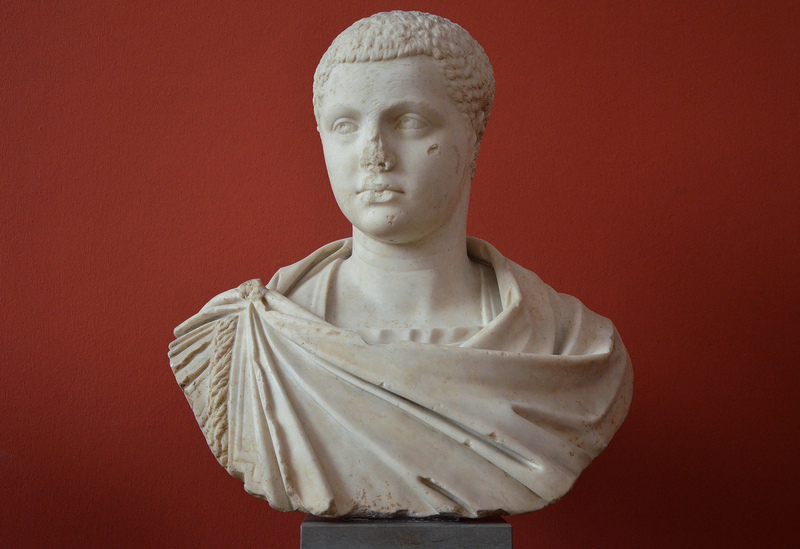 In 217 AD, when Elagabalus was just fourteen years old, his mother’s cousin, Emperor Caracalla, was assassinated and replaced by his own Praetorian prefect of the guard, Marcus Opellius Macrinus. As you might expect, the new emperor was eager to get rid of any contests to his throne, including members of the previous emperor’s family. He exiled Elagabalus and his family to their estate at Emesa in Syria. As soon as the family arrived in Emesa, Elagabalus’ mother began to conspire with her adviser and Elagabalus’ tutor, Gannys, to overthrow Macrinus and put her fourteen-year-old eldest son on the Roman imperial throne. His mother, Julia, launched a propaganda campaign, publicly declaring Elagabalus to be Caracalla’s illegitimate son, and so the rightful heir to the Roman throne before Macrinus. Julia displayed her wealth to the Third Legion and gained their support, and at sunrise on May 16th, 218 AD, the commander of the Third Legion declared Elagabalus to be the rightful emperor. Elagabalus took on Caracalla’s names and thus became Elagabalus Marcus Aurelius Antoninus. At first, the Roman government supported Macrinus. Macrinus denounced Elagabalus, calling him the “False Antoninus”, and claimed the teenager was insane. The senate responded by declaring war on Elagabalus and Julia. But, Julia had a plan. She would not be deterred on the path to getting her son on the throne. She bribed the Second Legion into supporting her son, and it proved to be a crippling blow for Macrinus’ forces. Elagabalus defeated Macrinus at the Battle of Antioch, on June 8, 218. Macrinus fled, but was executed at Cappadocia. His son, too, was captured and put to death. Fifteen-year-old Elagabalus declared his victory at Antioch to be the beginning of his reign as Emperor of Rome and assumed imperial titles. 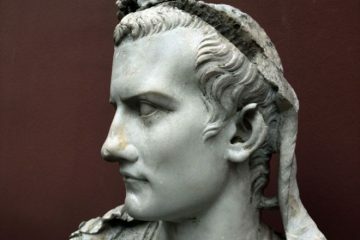 He sent letters of amnesty and reconciliation to the Senate at Rome, and the senators knew they were doomed if they denounced the young emperor-wannabe. The Roman Senate acknowledged Elagabalus as emperor and deified Caracalla and elevated Elagabalus’ mother to status of “Augustae”, and the commander of the Third Legion who had first supported Elagabalus was declared prefect of the Praetorian Guard. It could only go downhill from there. The first signs of future problems with the young emperor’s new reign surfaced in the winter of 218. In order to help the Romans adjust to the idea of the new ruler, Elagabalus’ mother sent a painting of her son to Rome and had it hung over a statue of the goddess Victoria in the Senate House. Well, this was kind of a problem, because this meant that every time any senator made an offering to Victoria, he was also making offerings to Elagabalus. When Elagabalus’ legions heard about this, they were absolutely appalled by his presumptuous behavior. They were so upset, in fact, that revolts broke out on the way to Rome that had to be quickly put down. They reached Rome in Autumn of 219, and it became clear that Elagabalus was not cut out to run a huge empire. 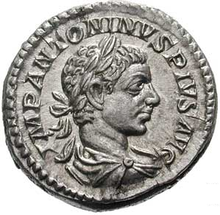 During his reign, he devalued the Roman currency, decreasing the purity of silver in the denarius by almost ten percent. As time wore on, his court began to see just how much the young ruler lacked prudence. He tried to have his lover, charioteer Hierocles, declared Caesar, and appointed another lover, athlete Aurelius Zoticus, to an influential position in his court. At first, his mother held her good relationship with her son. She and Elagabalus’ grandmother were the first women allowed into the Senate, making them the most important and influential women in the world. Even with this power, though, her son would prove to be absolutely impossible to control. Sun worship was widespread through the empire, and Elagabalus was still the high priest of Elagabal. He decided he would instill the worship of his god throughout the Empire, and even went so far as to elevate Elagabal to the level of Jupiter, and he demanded to marry the Vestal Virgin Aquilla Severa, claiming it was a good idea because such a marriage would produce “godlike children”. Discontent stirred in the Empire at this massive breach of Roman law and tradition. To add insult to injury, Emperor Elagabalus built a temple to Elagabal on Palatine Hill, had himself circumcised, and then forced the senators to watch while he danced around the altar of his god. He moved the sacred relics of the Roman religion to the temple of Elagabal that he’d constructed, so that all Romans had to worship Elagabal if they wanted to worship anyone else. If that wasn’t bad enough, Elagabalus married and divorced five women, took male lovers, and historians say that he offered vast sums of money to any physician who could give him female genitalia. Many modern writers have characterized him as transgender, or transsexual. 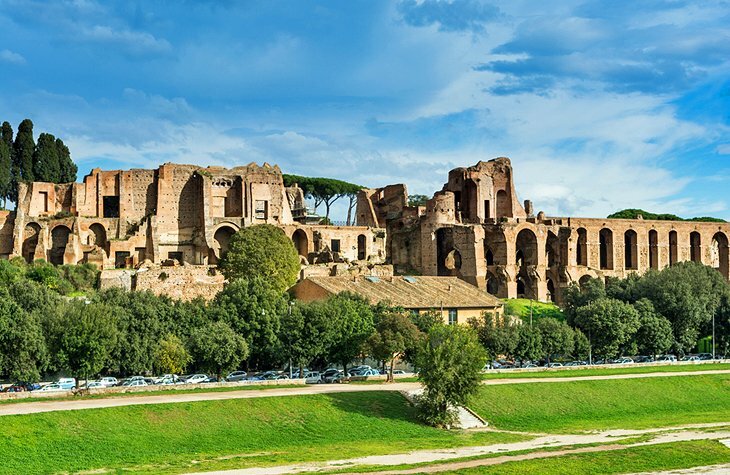 He lavished favors on hundreds of male courtiers, and even went so far as to prostitute himself within the Imperial palace on Palatine Hill. He continued to force leading members of the Roman government to participate in religious rites celebrating his deity, and lived a life of excess and overspending, completely disregarding Roman laws and traditions. 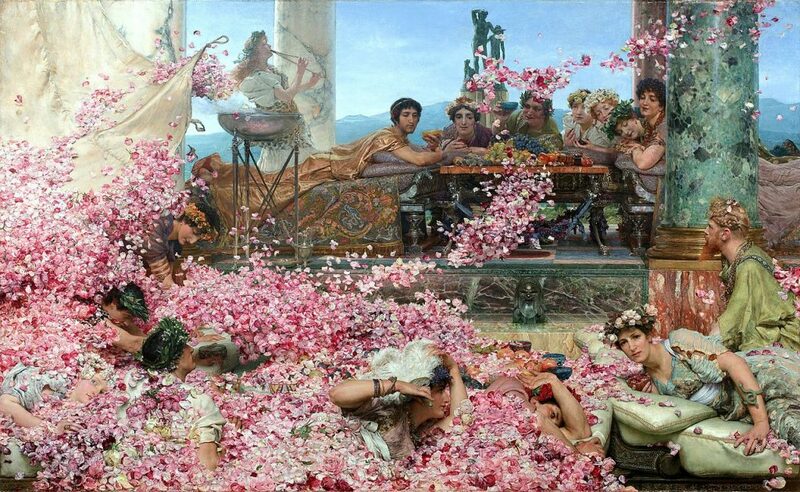 Emperor Elagabalus’ eccentric behavior estranged him from his own guard and his mother and grandmother. Together, the group began to plot to have him replaced. They wanted to put Elagabalus’ thirteen-year-old nephew, Severus Alexander on the throne. Julia managed to manipulate Elagabalus into promoting his cousin to Caesar and sharing consulship with him, but Elagabalus began to suspect that the Praetorian Guard preferred his cousin, and began to immediately regret the decision. He scheduled many attempts on Alexander’s life, but when none of them succeeded, he resorted to stripping his cousin of his titles and circulating rumors that Alexander was near death. A riot broke out. 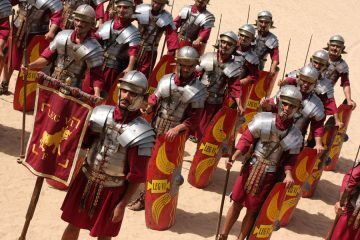 The Praetorian Guard demanded to see the Emperor and his cousin. So, Emperor Elagabalus was killed, and so his reign ended. He did become something of a hero to the “Decadent” movement of the late 19th century, but most only remember him as a young, amoral, overzealous man. It’s clear that whatever the case, and however people perceive him, he simply wasn’t ready to ascend the throne of the greatest empire the western world had ever known. The responsibility and power drove him to madness.